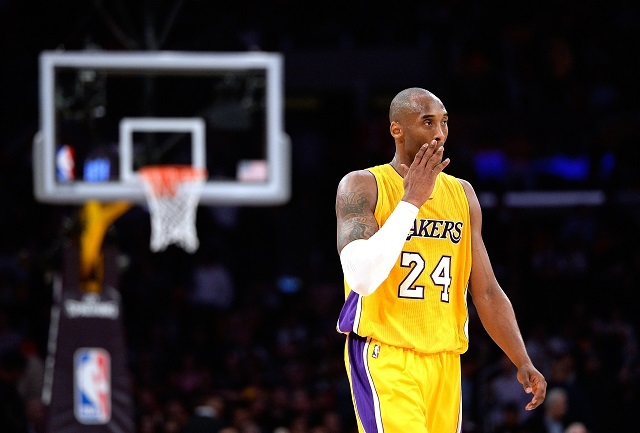 NBA: Is Kobe Bryant What’s Wrong With the Los Angeles Lakers? 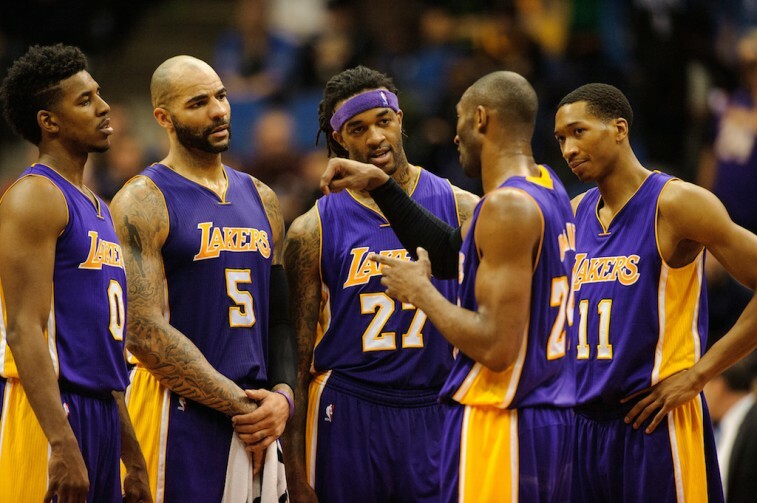 The Los Angeles Lakers have been exposed this offseason. Anyone who doesn’t see that needs to get their eyes checked. This is one of the most storied franchises in NBA history. The banners, the Hall of Famers, the name recognition — it’s all there. Yet, all of those things are simply smoke and mirrors designed to mask the hidden truth: This team has become complacent and uninspired. And if they don’t fix things quickly, they’ll soon become irrelevant. You can take that to the bank. “The Lakers are no longer the Lakers. The basketball world knows it, their front office needs to own it, and the Buss children need to start acting like it if they have any chance of becoming the Lakers again. If the consecutive losing seasons weren’t enough to shed light on the franchise’s current predicament, then perhaps the 2015 free agency period will serve as the proverbial straw intended to break the camel’s back. 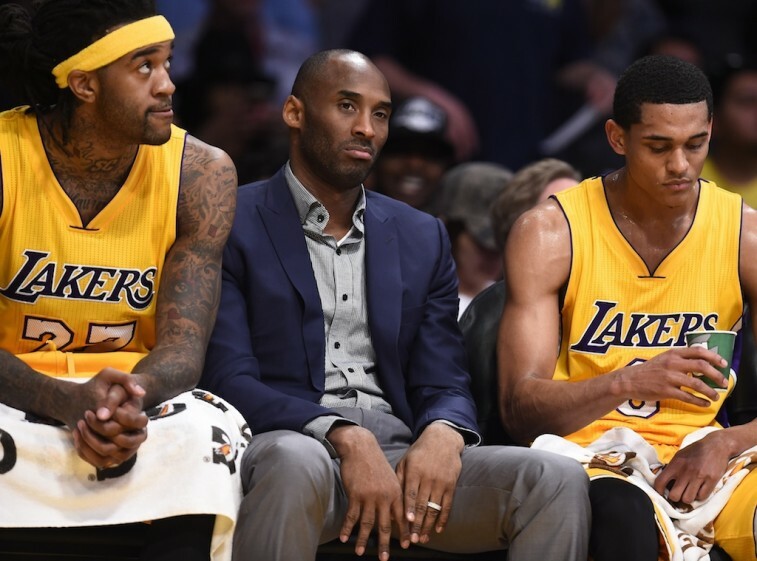 No matter who the Lakers pick up before the start of the 2015-16 season, it’s clear that none of those acquisitions will be of the superstar variety. And you have to wonder if that will continue to be the case so as the Los Angeles Lakers have that role occupied by No. 24. Here’s something that most know, but don’t like to necessarily admit: In today’s NBA, without a star on the roster, it’s highly unlikely you win a championship. For the better part of 19 seasons, Kobe Bryant has been that guy for the purple and gold. With the Black Mamba in the fold, Los Angeles has had the swagger, competitive spirit, and the five championships to back it all up. But Bryant’s time in the league is winding down and this was the moment the Lakers needed to pounce on No. 24’s successor. However, once again, this club fell short. LaMarcus Aldridge — who agreed to terms with the San Antonio Spurs — was the organization’s prime target. Yet, even after the All-Star gave Los Angeles a second meeting, word was out on how the Lakers attempted to woo him with off-the-court opportunities as opposed to a clear direction on basketball operations. And while this is a failure on the part of everyone involved, we can’t help but think that the team’s superstar, Bryant, could’ve done more. According to Mike Bresnahan of the Los Angeles Times, Aldridge didn’t really “gel” with Bryant during the first meeting. As opposed to the Houston Rockets — who wowed the former Trail Blazer with their analytics — Bryant indicated that the two could work together in the same fashion as he had with Pau Gasol. In our opinion, that sounds like the sort of pitch one gives when they’re not ready to relinquish star power. And believe us, if there was ever a time for the Los Angeles Lakers to add a new superstar to the roster, it would be now. Following the Lakers’ inability to sign Aldridge or former Los Angeles Clippers center DeAndre Jordan, the organization is reportedly nearing a deal with the Indiana Pacers that will bring Roy Hibbert to Los Angeles. On top of that, the club has also agreed to deals with Sixth Man of the Year Lou Williams and former Boston Celtics forward Brandon Bass. These are nice pickups and should definitely help improve the overall roster. However, if you’re a Lakers fan, these are hardly the kind of moves that will get you excited for the upcoming 2015-16 season. The Los Angeles Lakers know the time is coming when the superstar torch needs to be passed to the next face of the franchise. Perhaps that player will be stud guard D’Angelo Russell. There’s no reason to believe the former Ohio State product won’t be a force in the NBA for years to come. But the Lakers needed to make a splash during this 2015 free agency period. The Western Conference is too talented for Los Angeles to stick with the status quo. Yet, that’s exactly what happened. Unfortunately, perhaps the only way for the Lakers to nab a star, will be for them to lose the one who’s shined for them for almost two decades. Not exactly the Hollywood ending they were hoping for. Then again, all’s fair in love and basketball.